My kids and I love being creative, especially when it involves crafting something beautiful from objects so mundane as colored paper and assorted odds and ends we have around the house. Since my children are all teens now it is especially important for me to maintain close relationships with each of them. For sure, this project bonded in more ways than one and in this blogpost, I'll recap that family togetherness experience. When we had the opportunity to receive some Glue Dots samples in conjunction with a TwitterMoms contest, my middle triplet daughter and I both were excited to try a product that we previously hadn't heard about, but one that sounded like it would make our arts and crafts a whole lot easier to assemble. The Glue Dots (2 rolls with dispensers & 1 package with sheets) that we received have sticky adhesive on both sides and the diameter sizes we used for the projects pictured ranged in size from about 3/16" to 3/8" (.5 cm to 1 cm). Working with these wonder dots made this a really fun and enjoyable activity to do with my artistic triplet daughter. As you can see from the pictures of her and her fashion project, she's a teen and definitely loves shopping, clothes, shoes & fashion accessories. 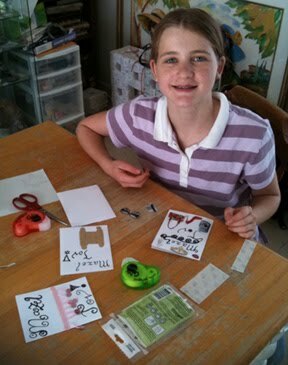 Luckily for me, she still treasures the time we spend doing arts and crafts together, too. You know how the saying goes... "A family that crafts together stays together." Actually, I just made that up right now but you get the idea, spending such quality one-on-one time together in a truly stress free way can only strengthen the bonds kids have with their parents. We used the various Glue Dots samples received to make an eclectic assortment of note cards -- including all those you see pictured in this post. This product was truly mess-free and easy to use. The picture at left shows the way the Glue Dots dispensers work, you simply roll them onto your project then attach an item of your choice. 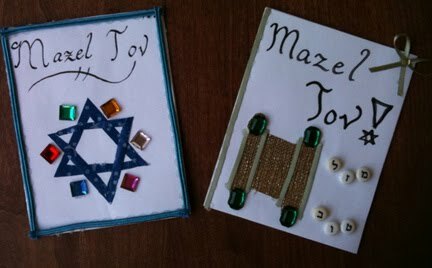 These dots held beautifully whatever we stuck them on: paper, ribbon, pearl strands, Hebrew alphabet beads, rhinestones, faux acrylic jewels, sequins, metal charms, paper, and other miscellaneous accents. We even used some recycled materials by cutting out pictures of the latest fashions from our Vogue, Teen Vogue, W Magazine, and Elle magazines and then added sparkling gems to accent a few cards like the one you see above. Those jeweled stilettos are to die for, aren't they? 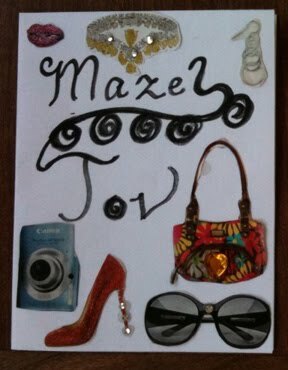 Our neighbors have been admiring these cards that my 13 year-old made this past week. She's even received several orders for custom made greeting cards and thank you notes from some of our friends and is working on a bunch of different designs right now. 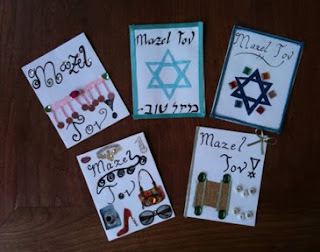 All the note cards you see in this post we made incorporating Glue Dots, mostly crafted by my talented fashionista teen who does beautiful hand calligraphy, too. While I sat watching, it gave me such joy to see her creating some really lovely designs. As a family we are also into scrapbooking, so we can't wait to use Glue Dots again for that craft after we return from our summer road trip next month to illustrate our vacation memories for the album each kid is making. 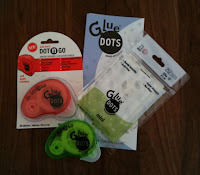 For this test and product review we received the Glue Dots sampled (pictured at left) which include Craft Dot n Go Glue Dots, Removable Dot n Go Glue Dots, and Glue Dots Mini. All are available where arts and crafts supplies are sold online and at stores such as Michael's and Jo-Ann Fabrics & Crafts. 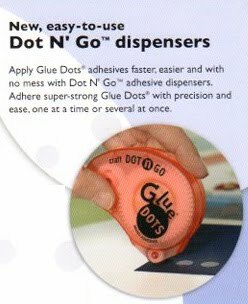 See the Glue Dots Store Locator for more information on exactly where you can purchase these. 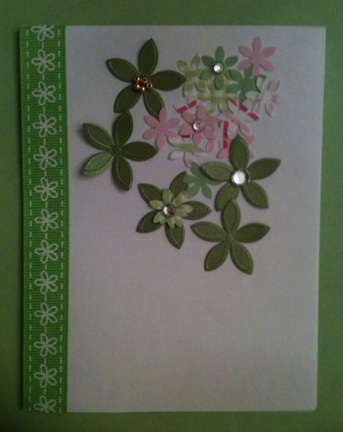 If you still need inspiration, you can get more really great ideas by visiting the Glue Dots Fan Page on Facebook. Meanwhile, I hope you'll comment below this post telling what activities you do to bond with your own teenager. I can't wait to hear what other parents are doing to create meaningful time with your kids. FTC Disclosure: MommyBlogExpert received the Glue Dots products described and pictured above. This post is part of a blogging contest from the TwitterMoms community. There is a chance this post could be randomly selected to win a $30 Amazon GiftCard. More details about the contest here. MommyBlogExpert did not receive any payment or other compensation associated with this post. See complete FTC Disclosure information that appears at the bottom of MommyBlogExpert's main page and at the bottom of every individual post on this blog, including this one.